With over 500 exhibitors and 10,200 visitors, Automechanika Birmingham is the UK’s leading exhibition for the automotive aftermarket and vehicle production sector. Held in association with the SMMT, it brings industry professionals together under one roof. Fibrax will be showcasing a range of products and systems developed for the automotive industry at Stand F80. The company’s Sales and Technical Teams are looking forward to meeting show visitors and exhibitors from across the automotive market. Should you wish to arrange to meet at the event to discuss the latest innovations and potential projects, please contact info@fibrax.co.uk. 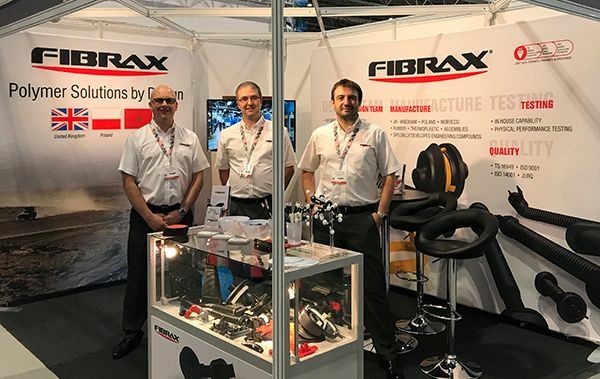 Fibrax Limited is one of the UK’s fastest-growing manufacturers of rubber, TPE and plastic components. With a global manufacturing network, they design and deliver quality products to customers operating worldwide.